with awareness of love, as we ride on the crest, at the dawning of true happiness. 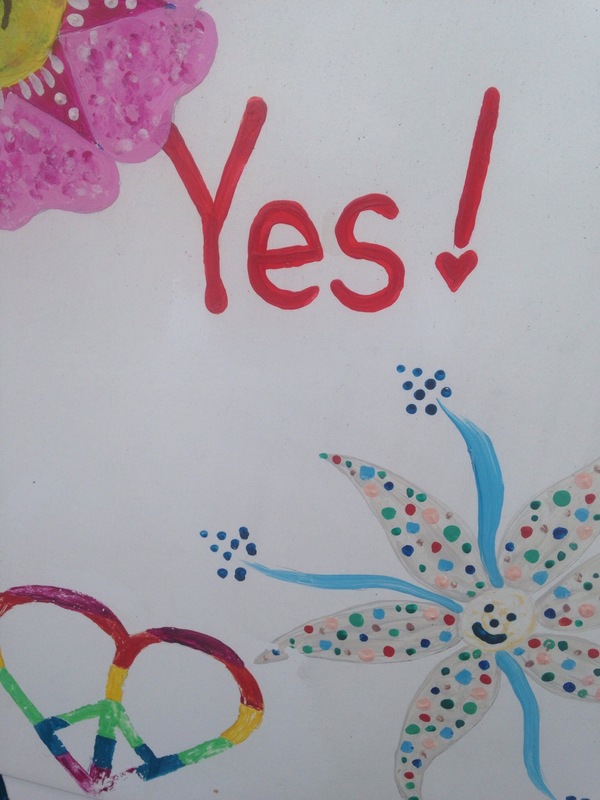 and the Magic Bus knows, that wherever it goes, it’s our thoughts that we all should address. and each one we caress, that we put to the test, will respond to YES! YES! YES! The observation that our thoughts create presents itself clearly at this time of year when Peace and Love and Goodwill are shared amongst all in the western world. The manifestations of complete happiness reign supreme until their culmination on Christmas day. Together, with awareness and the development of a calm mind, we will expand this consciousness and develop true compassion for all souls, for all time, all over the world. This new abundance of joy will unite all men, , of all creeds in total harmony. So Keep the Faith, share the Love and enjoy a very safe and happy Christmas. Thank you sooooo much for all your support, Merry Christmas, Be Happy. to free all minds of fear and doubt, see the world just ” as it is “. in peace and love and happiness, all joyful side by side. Tagged adventure, bliss, brotherhood, coexist.shine bright, friendship, happiness., inner joy, joyful, oneness, passengers, togetherness, world. 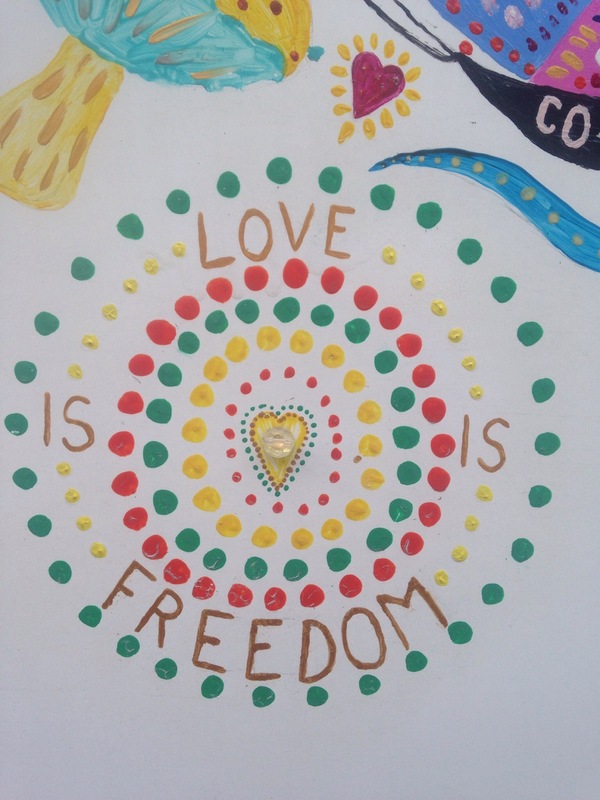 The knowledge that only love is real, was abundantly present when the Magic Bus travelled to Agnes Water recently, at the southern end of The Great Barrier Reef. Other prophets of Joy and Compassion were also in town sharing the love which they had bought from The Netherlands, Germany and Sweden. The messages from the childrens book “Journey on the Magic Bus”, has touched their hearts and will now travel with them throughout these beautiful European countries and beyond. Happiness, contentment and faith in all that is good is surely gathering momentum amongst the true believers. Messages of love also came from far away Iceland. A love bracelet trader and a Tawny Frog Mouth Owl and her 3 babies also attended to ensure that all of nature would benefit from this spiritual meeting. The amazing red glow from the recent lunar eclipse shone like a beacon of pure love for all the world to see that change, at any moment, is not only possible but completely inevitable. World peace and the universal joy that it brings is now, more than ever, on the lips and in the hearts of the vast majority of the people on this beautiful planet of ours and critical mass will surely bring this to materialisation. The wheels of the Magic Bus are turning to bring hope and faith and a new awareness of this loving peace throughout the land. 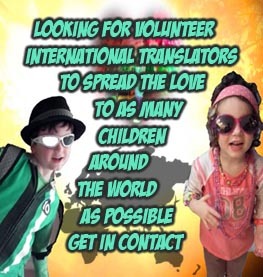 Across the globe now children of all races and religions are connecting with the book, “Journey on the Magic Bus”, and the light of love and compassion is shining brightly for all. 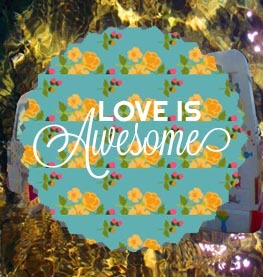 What a comfort to know that there is more than enough love for all the world to share. All we need to do is embrace it with faith and joy in our hearts. A happy heart is where we start. 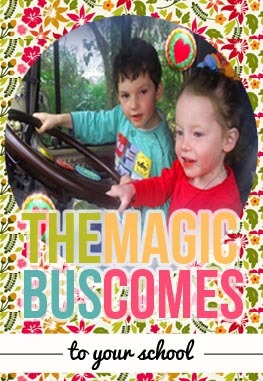 The Magic Bus is carrying love and compassion to all who come her way by sharing the words and pictures of the beautiful book, “Journey on the Magic Bus” to all. 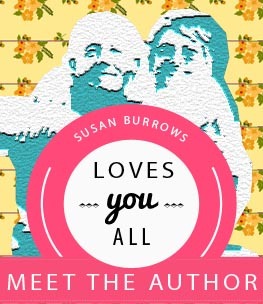 The journey has so far taken the Magic Bus and the book to thousands of wonderful people and dozens of wonderful towns recently such as Texas, Stanthorpe, Boonah, Helensvale and Noosa Heads in Beautiful Queensland. Sharing the knowledge that love is truly the answer. So chose love, give it and send it out to the world. 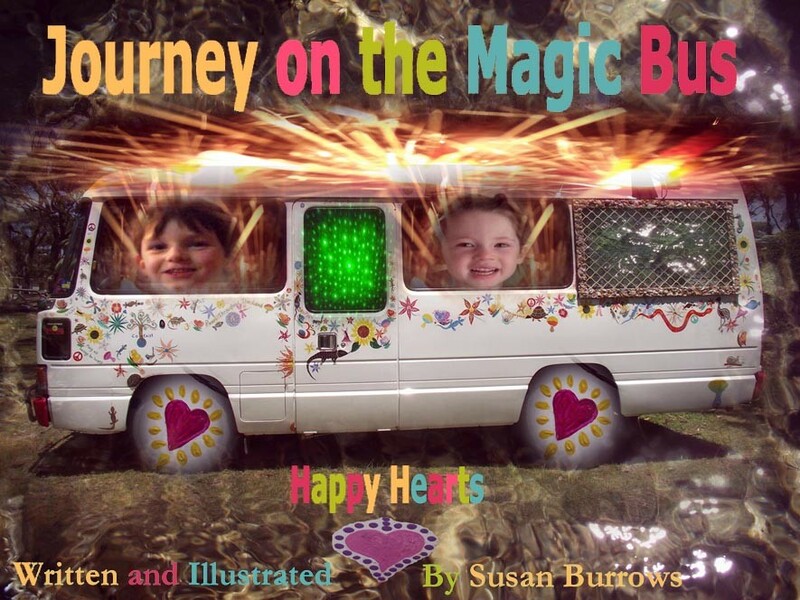 “Journey on the Magic Bus”, “Happy Hearts” is the first in a series of childrens books written by Susan to deliver love into the hearts of children everywhere. Join the growing numbers in delivering this magical message to the children close to you and live your life with a very happy heart. When the Magic Bus pulled into Coolatai town, the place was buzzing, full of it’s colours and creative charm. The energy so beautiful, uplifts you straight away, we knew in our hearts this is where we would stay. 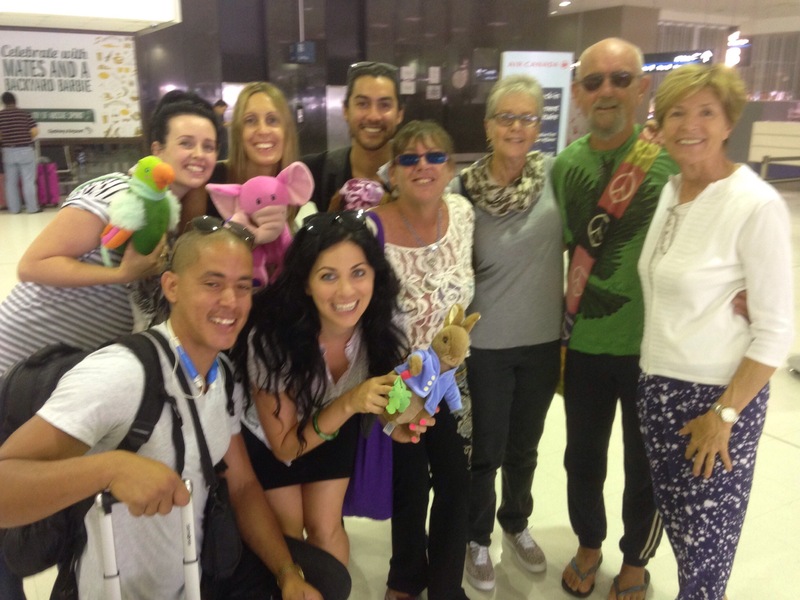 With the vibration of love, we all felt so alive, this is the place to come when you really want to thrive. We watched a bush movie with our new friends and a fire, and the whole time our inner peace rose higher and higher. We talked of life, love, our hopes and our dreams, and everyone had an aura that just gleamed. 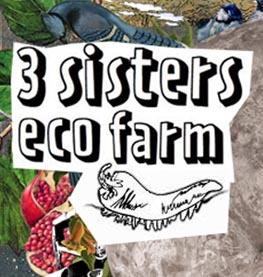 Joyfully we contribute together, uniquely we work as a team, as the 3 Sisters Eco Farm reaches all it’s dreams. By putting it out to the universe and planting the seed, with faith everything comes to us all that we need. So checkout the 3 Sisters Eco Farm on the web, and if your fortunate enough to visit you will feel all that’s been said. We just loved each other and connected together, we felt so blessed, it was the Best Day Ever. To live with love in our hearts is to live with Joy and Peace and Compassion, not just for our near and dear but for all souls. The realisation that we are all part of the one brings us in tune with mother earth and the beautiful balance between the planet and all who reside here. When fear arises faith departs and greed and anger prosper. Knowledge is power so help us to share the knowledge of true love with all the children so that our world can grow to become the Eden that is surely ours. An abundance of all things, for all beings, living in harmony. The Magic Bus is back on the road, spinning out love to all wherever it goes. The joy we feel as the Magic Bus drives through where you live, the love the smiles and the peace signs you always give, fills us with love and it’s overflowing, and it spreads naturally to us all without us even knowing. We all want to be happy, we all want world peace, . today I ask you also to send your love to the Great Barrier Reef. It’s been choking for some time and the marine life is on the decrease, so please take the time today to send loads of love to our reef. Our future children should be able to swim, snorkel and dive, and take in the beauty as they watch the Great Barrier Reef come alive. The scientists know exactly what’s going on, through our love together we shall right their wrongs. Keep the faith, and have a happy shiny day . Thankyou much love Susan.